The ultimate aim of this move by the company is to attract as many developers as possible so that they can develop websites which is compatible with their browser’s latest version. So, the latest version or so called developer tool that was unveiled by the company has been named as “Remote IE”, which basically will allow the latest version of the IE to work on any operating system like OS X devices as well as iOS and Android. At the moment this launch has been limited at the testing level. The company is hoping that the developers will be able to run the browser preview build without the need for them to be actually on the latest version of the OS or Windows. Currently the Remote Internet Explorer, the company’s had made sure that it runs on the company’s cloud computing platform called Azure and they can’t expect all the developers to use their windows platform. According to Microsoft, at present the service has been reserved and restricted to safeguard their server resources and that is the reason the remote IE has been kept at the testing level. The company has made sure that no single session last more than 60 minutes and any session kept idle for even 10 minutes will log out the user. Moreover, there are some tradeoffs considering the fact that at the moment Remote IE has been made free for everyone and also the company’s focus was completely on getting the attention of more developers to modify their websites to make it compatible with the new Internet Explorer. At the end, you are among the developers, irrespective of software or system environment you work in and use, Microsoft has come up with a blessing in which you will be easily able to test your website’s compatibility with that of Microsoft's browser. On the other side, Remote Internet Explorer has been given access to the latest builds of the IE that are currently in the testing process for use on Windows 10 technical preview. In order to use this service, the developers will be required to register themselves on the Remote IE website. They will be directed for downloading a client application for selected operating systems. The developer can either press F12, or use the IE menu to get access to the developer tools. 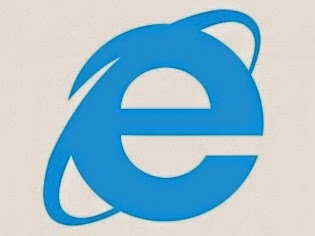 The previous version of IE is not available for testing as the current Remote IE is based on the Windows Server 2012 R2. According to Microsoft they are working towards getting the previous version to be available for testing. At the moment testing time limits have been set and the company is working on increasing the same depending on the demand and the resource availability. One this user’s will have to remember is the fact that they can’t make any changes in the settings in the application, but certainly the web developers will be able to test their unique creations.